These 2” stickers come individually perforated on rolls of 1,000. Use exactly the amount you need for one event and store the rest for later use only $53.95 per roll. *STICKER SALE! 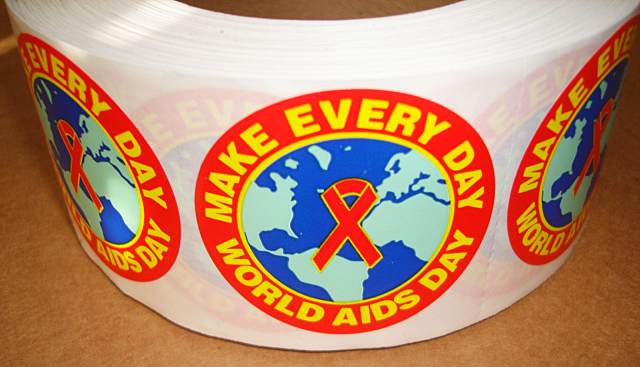 - MAKE EVERY DAY WORLD AIDS DAY stickers now on sale, only $45.00 per roll of 1,000. 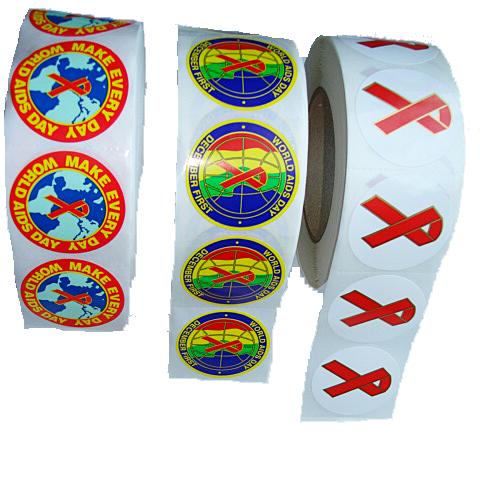 White 2" stickers with mult-color imprint. 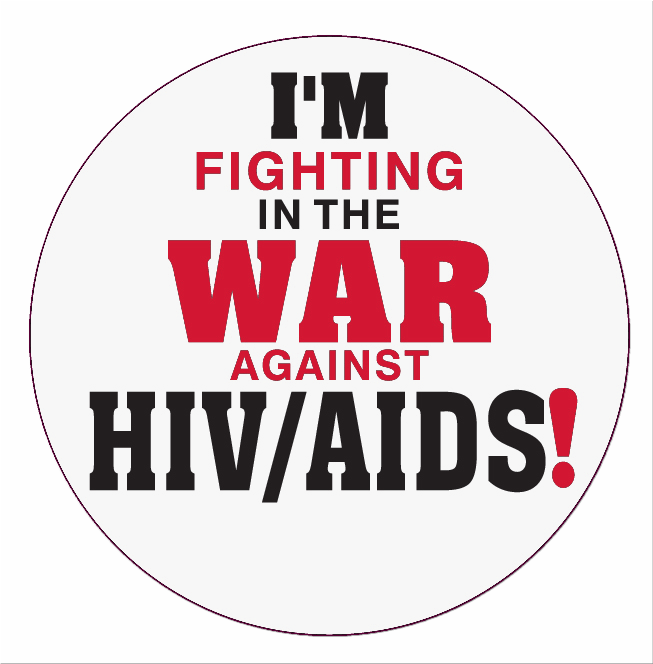 Roll of 1,000 stickers only $53.95. *See the more info page for a special offer.